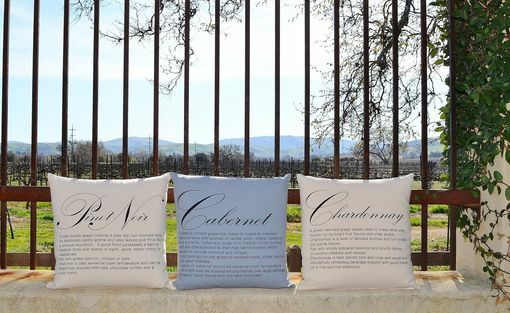 This is a series of pillows designed with the wine country in mind. Crisp canvas in classic ivory or slate grey with the name and description of each wine varietal. 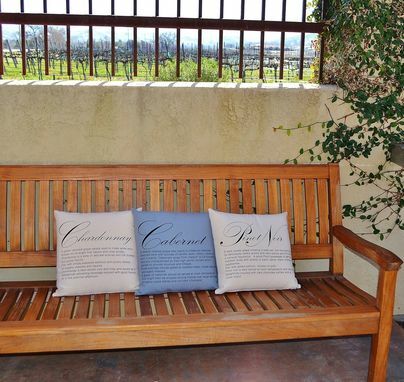 Fun with facts and suggested food parings, these pillows are sure to start a conversation.